Why would a man who has managed to alienate more than half the country give up an opportunity to seem likable? By Dean Obeidallah, host of "The Dean Obeidallah Show"
President Donald Trump doesn’t seem to miss an opportunity to miss an opportunity to help himself. And we’re seeing yet another example of this with his decision to skip Saturday’s White House Correspondents' Dinner (WHCD). Not going to happen this year. In 2018, according to Trump, the media is the enemy — or as he put it, the “enemy of the American people.” And apparently, Trump doesn’t want to be seen laughing it up with his enemies. In 2018, according to Trump, the media is the enemy. And apparently, Trump doesn’t want to be seen laughing it up with his enemies. The only person really hurt by Trump not attending the WHCD, however, is Trump. Why would a man who has managed to alienate more than half the country give up an opportunity to seem both more tolerant and more likable? Plus, he’d be able to make some funny barbs at the expense of his political foes. Are you telling me the man who coined the phrase “Crooked Hillary” doesn’t like political insults? A polarizing man’s best weapon is self-deprecation because it shows you can laugh at yourself. Reagan, who incidentally is lionized by Trump, used comedy to make fun of his advancing age at the 1988 dinner. The 77-year-old president told the audience that his staff had claimed that "preparing me for a press conference was like reinventing the wheel.” Reagan then joked, “Not true. I was around when the wheel was invented and it was easier." Bill Clinton also had no qualms about mocking himself, even at the height of the Monica Lewinsky scandal. 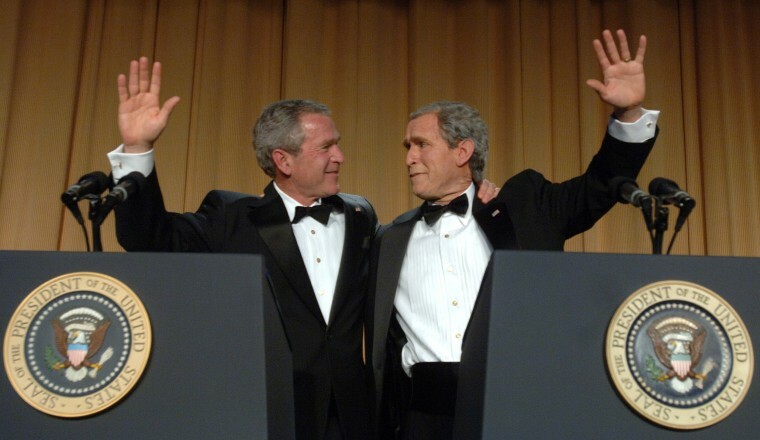 “In just eight years I have given you enough material for 20 years,” he joked in 2000. Now, I’m not naïve. Trump could deliver a killer comedy set that mocks every aspect of himself and change zero minds. But a humanizing moment from the president could help prove to independent voters and perhaps even some #NeverTrumpers that he’s not a one-dimensional bully. And speaking of independents, Trump could desperately use their help. A new Quinnipiac poll released on April 25 found that only 34 percent of independent voters approve of the job Trump is doing as president, while 58 percent disapprove. With this Congress, the jokes almost write themselves. The various scandals engulfing the mainstream media are ripe for comedy, plus there are Trump’s favorite targets like Rep. Nancy Pelosi, Sen. John McCain and James Comey. At the end of the day, I’m no fan of Trump, but there’s also no denying that he’s a showman who can deliver a joke. Indeed, at the Gridiron Club's annual dinner in March Trump adeptly poked fun at himself while also serving up good-natured takedowns of some of his rivals. "Nobody does self-deprecating humor better than I do," he joked in a rather refreshing moment of seeming self-awareness. "I was very excited to receive this invitation and ruin your evening in person,” he added. “That's why I accepted." None of this is going to happen, of course because Trump is either too petty or too proud to accept the White House Correspondents' Association's invitation. Just more evidence that Trump’s greatest obstacle to his success as president might be himself. 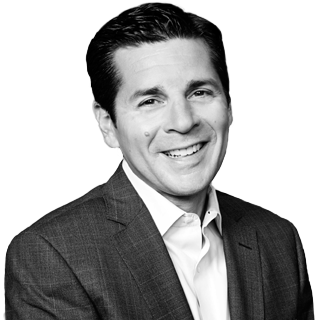 Dean Obeidallah, a lawyer, hosts "The Dean Obeidallah Show" on SiriusXM radio's Progress channel and is a columnist for The Daily Beast.